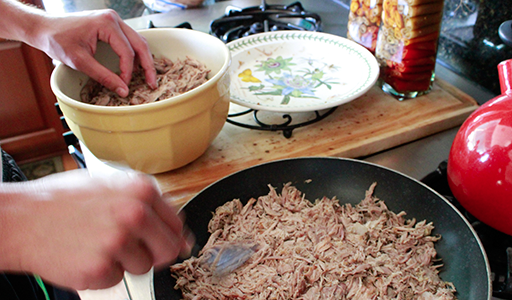 In Spanish, the word carnitas means “little meats." Henry about to partake - then rush off to work (apron over shoulder). 1. Rinse and dry pork shoulder. 2. In a small bowl, combine chili powder, cumin, oregano, salt and pepper. Season pork with spice mixture, rubbing in thoroughly on all sides. 3. 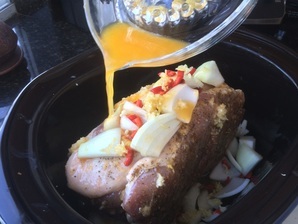 Place pork shoulder in Crock Pot or other slow cooker (with the pork's fatty side up) and add the onion, jalapeño chili, garlic, and orange juice. Don't worry about the placement. 5. Now, pork meat should be falling off the bone. 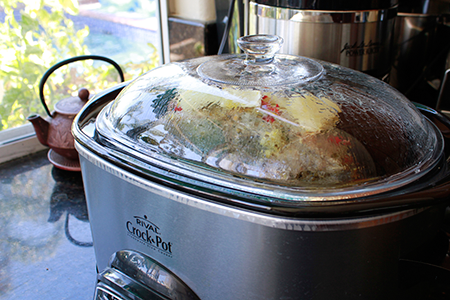 Remove from the slow cooker and let cool for 5 mins, then shred with two forks. 6. Let the juices sit and then skim off the fat. Save the juice for later, adding extra salt, lime juice to taste. 7. Heat a pan with olive oil then load it with meat. Press down and cook until golden brown on the underside. This is crucial to getting that carnitas crunch. 8. 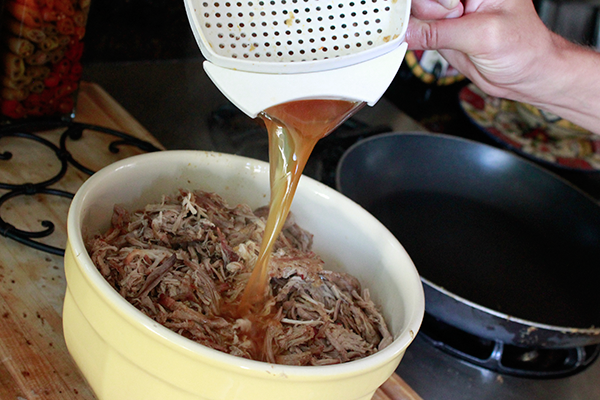 Pour enough of the juice over the cooked carnitas to moisten the meat. 9. 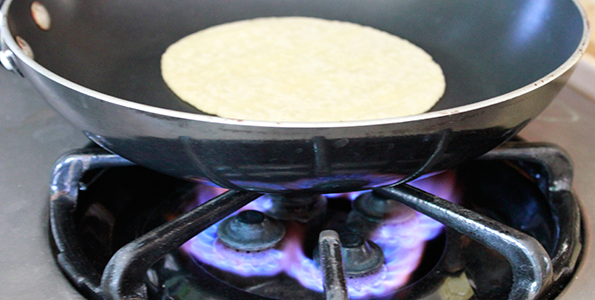 Heat tortillas on medium-high and ready the toppings - the wait is over! 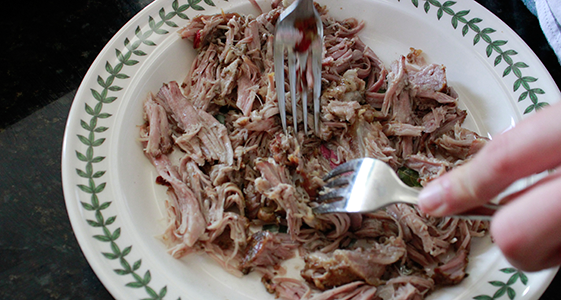 There really are no rules when it comes to dressing up your carnitas on the tortilla. As well as tomato salsa, avocado, cabbage and onions you should consider black beans, cheese, sour cream, and chipotle rice. With the leftover meat, make breakfast burritos with egg and onions.